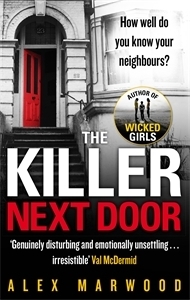 I haven’t yet read this author’s The Wicked Girls, but had heard very good things about it, so I was excited to receive and ARC of her new work The Killer Next Door. I am usually a little creeped out by serial killers- maybe it is due to overexposure to James Patterson and Patricia Cornwell in my formative years? When I began this book, I felt it was going to be a drag, but by the second chapter I was totally hooked. Marwood gives an array of interesting and well written characters, Cher, Collet, Vesta, Hossein and Thomas. All from very different walks of life, they find themselves neighbors living in small rooms in a suburb of London. The author takes us back and forth between these characters and the killer living in the building with them. The parts with the killer, called the Lover, actually made my skin crawl-but in a good way! Marwood has given us an amazing story- wonderful, rich characters wrapped in a mystery. Read this book! You will not want to put it down. Alex Marwood’s debut novel, The Wicked Girls, earned her lavish praise from the likes of Stephen King, Laura Lippman, and Erin Kelly, and was shortlisted for an Edgar Award. Now Marwood’s back with a brilliant, tightly paced thriller that will keep you up at night and make you ask yourself: just how well do you know your neighbors? Everyone who lives at 23 Beulah Grove has a secret. If they didn’t, they wouldn’t be renting rooms in a dodgy old building for cash—no credit check, no lease. It’s the kind of place you end up when you you’ve run out of other options. The six residents mostly keep to themselves, but one unbearably hot summer night, a terrible accident pushes them into an uneasy alliance. What they don’t know is that one of them is a killer. He’s already chosen his next victim, and he’ll do anything to protect his secret. 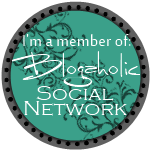 (from Goodreads). When I read The Bone Season last year, I was pretty surprised by how much I liked it. 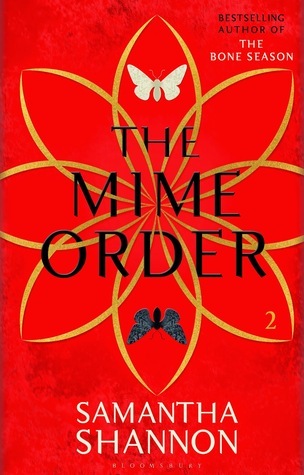 It was certainly not my kind of book, a little too dystopian/sci fi for me. But I loved it, and I was very excited for a chance to read the sequel before it was published. Net Galley was very emphatic that the version I read is NOT the finalized version that will come out in January. Well, I thought it was great! It has been sometime since I read the first book, and it took me awhile to remember all the characters, especially since the names are all pretty strange. Once I got that all sorted, I was hooked just as much as I was with the first book. It is a little hard to actually summarize, but if you read and enjoyed The Bone Season, read this book. Then sit around and wonder why the third isn’t out yet! But keep in mind, this is the second in what is supposed to be a series of SEVEN books! Yeah- lots to look forward to. I loved this book! I thought I would, since I also loved his last novel, The Bookman’s Tale. If you haven’t read that one, do it! This is a little different, yet similar in some ways. Tale featured a bookworm who tried to figure out the mystery behind the true authorship of a certain well known Bard, while First Impressions gives us a heroine bookworm trying to uncover the truth behind whether Jane Austen plagiarized Pride & Prejudice. Since that is one of my favorite books, I was in a little bit of heaven reading this. While I hope this doesn’t become TOO formulaic, I have enjoyed both stories and definitely recommend them, especially if you enjoy reading about characters that love to read. Charlie Lovett first delighted readers with his New York Times bestselling debut, The Bookman’s Tale. 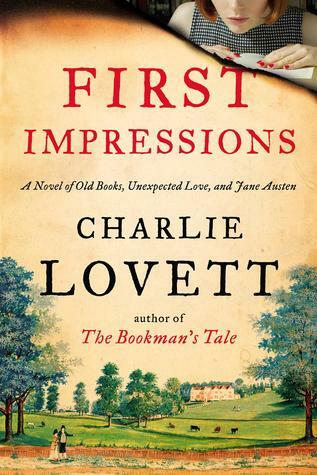 Now, Lovett weaves another brilliantly imagined mystery featuring one of English literature’s most popular and beloved authors: Jane Austen. Book lover and Austen enthusiast Sophie Collingwood has recently taken a job at an antiquarian bookshop in London when two different customers request a copy of the same obscure book: the second edition ofLittle Book of Allegories by Richard Mansfield. Their queries draw Sophie into a mystery that will cast doubt on the true authorship of Pride and Prejudice—and ultimately threaten Sophie’s life. I received this book from the publisher through Net Galley in exchange for an honest review. I am not sure why I wanted to read this book, other than the subject really interested me. I have strange feelings toward the author. I respect his talent immensely, but can not help but feel very bad after I read a book by him. Atonement, maybe his best known novel, is wonderfully written, but I can’t say I enjoyed it. I think I feel the same about this book. The part of the book that deals with law is fascinating, as is the main character Fiona, when she is dealing with a case, or thinking on others. It is her personal life that is a mess, and just gets messier. As the story unfolds, I cheer Fiona along. I sort of wish she would go all crazy on her idiot husband when he asks for an open marriage, but totally credit her for not breaking down and being all weepy- why cry your eyes out for a total jerk. I loved the case of the 17 year old Jehovah’s Witness, who is choosing to follow his religion rather than accept a blood transfusion that will save his life. 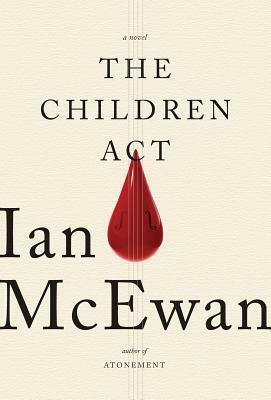 As Fiona delves into the law behind this case- The Children Act- we see not only her intelligence, but also her humanity. Unfortunately, Mr. McEwan doesn’t like to wrap thing up in nice little packages, but prefers to show the harsh realities of life. Even the best characters have flaws, and they always come out. I would definitely recommend this book. It is a very well written story that left me feeling sad. Fiona Maye is a High Court judge in London presiding over cases in family court. She is fiercely intelligent, well respected, and deeply immersed in the nuances of her particular field of law. Often the outcome of a case seems simple from the outside, the course of action to ensure a child’s welfare obvious. But the law requires more rigor than mere pragmatism, and Fiona is expert in considering the sensitivities of culture and religion when handing down her verdicts. But Fiona’s professional success belies domestic strife. Her husband, Jack, asks her to consider an open marriage and, after an argument, moves out of their house. His departure leaves her adrift, wondering whether it was not love she had lost so much as a modern form of respectability; whether it was not contempt and ostracism she really fears. She decides to throw herself into her work, especially a complex case involving a seventeen-year-old boy whose parents will not permit a lifesaving blood transfusion because it conflicts with their beliefs as Jehovah’s Witnesses. But Jack doesn’t leave her thoughts, and the pressure to resolve the case—as well as her crumbling marriage—tests Fiona in ways that will keep readers thoroughly enthralled until the last stunning page. I admit it- I chose this book TOTALLY based on the cover. Look at it- so peaceful, adirondack chair right on the lake, a little sepia tone. The summary intrigued me too- pretty much turning in your boring life to do something so different and challenging- so exciting. 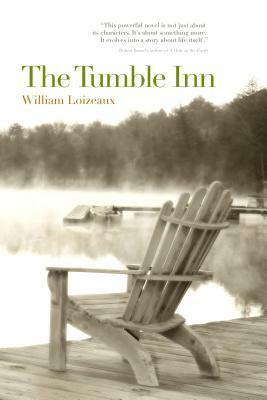 I loved journeying through the first few years at the Tumble Inn with Mark and Fran. This was the fasted and lightest part of the book. When their child, Nat, becomes a teenager, the story slows down and becomes a little deeper. Then tragedy strikes this small family and the pain and sadness seeps through to the reader. 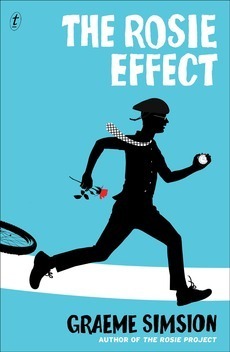 I finished this book quickly, as the story moves fast at first, and the writing is very smooth. Though not exactly what I was expecting- something a little lighter, like an early Tom Hanks movie?-I would definitely recommend this. Have you read this book? What were your thoughts? Tired of their high school teaching jobs and discouraged by their failed attempts at conceiving a child, Mark and Fran Finley decide they need a change in their lives. 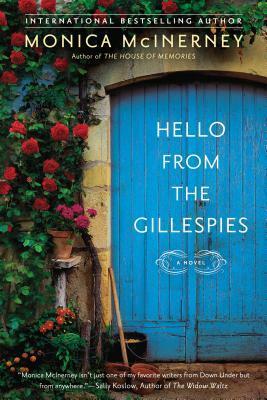 Abruptly, they leave their friends and family in suburban New Jersey to begin anew as innkeepers on a secluded lake in the Adirondack Mountains. There they muddle through their first season at the inn, serving barely edible dinners to guests, stranding themselves in chest-deep snowdrifts, and somehow, miraculously, amid swarms of ravenous black flies, conceiving a child, a girl they name Nat. Years later, when Mark and Fran are nearing middle age and Nat is a troubled teenager, Mark’s life is ripped apart, forever changed, and he must choose between returning to his old home in New Jersey or trying to rebuild what is left of his life and family in the place of his greatest joy and deepest sorrow.